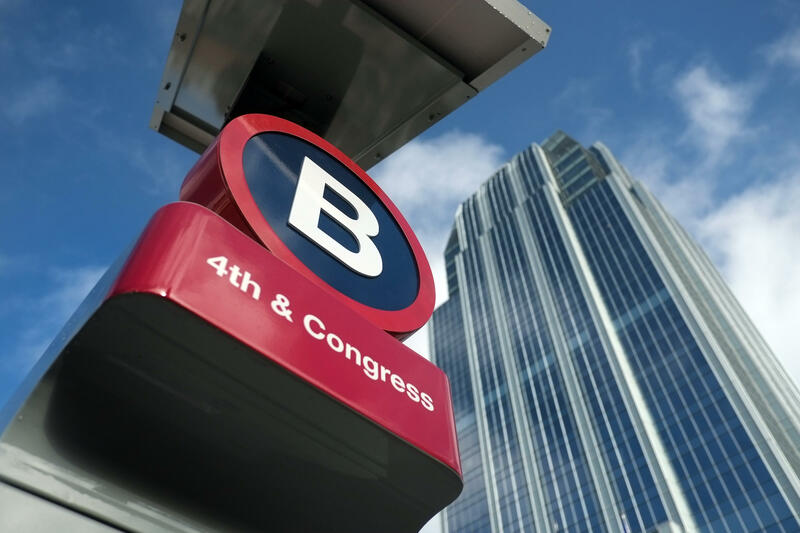 Austin's B-cycle bike share will offer a $5 annual membership to low-income Austinites. Starting this week, one of Austin’s most successful transportation programs will be more accessible to low-income Austinites. The B-cycle bike share program started a year and half ago. There’s been more than a quarter of a million bike trips on the system since, traveling more than 700,000 miles. Now, the company’s rolling out three new stations and new membership levels designed to include low-income residents. There’s several membership options for the bike share system – locals can buy an annual one for $80 that gives them unlimited free trips under thirty minutes every year. And starting this week, any Austin resident making $25,000 or less a year can sign up for a membership that only costs $5 annually. There are also three new stations at affordable housing communities in town. One of those is Santa Rita Courts at Second and Pedernales Streets on the East Side, the first public housing project in the United States. Grant funding was matched with local donations from the Housing Authority of the City of Austin and the non-profit Foundation Communities. Austin was one of seven cities in the U.S to receive a grant aimed at increasing access to bike share. Residents at the affordable housing communities making more than $25,000 a year will also be eligible for discounted bike share memberships, at half off the annual rate. The pilot program is set to run for the next six months. Disclaimer: KUT/KUTX is a sponsor of Austin B-cycle. Editor's note: KUT is one of 13 founding sponsors of the Austin B-cycle program. Austin's long-awaited bike share program kicks off tomorrow. It's called B-cycle, and its inauguration will be small. Only 11 kiosks will be open around the downtown area when the program starts Saturday. That number is expected to grow to 40 by the spring.